Episode 1 - Who Framed the Good Cop? Episode 2 - What Is the Supermodel's Secret? Episode 3 - Who Is the Ugly German Lady? 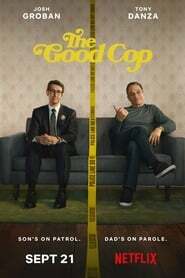 Episode 4 - Will the Good Cop Bowl 300? Episode 5 - Will Big Tony Roll Over? Episode 6 - Did the TV Star Do It? Episode 7 - Who Killed the Guy on the Ski Lift? Episode 8 - Will Cora Get Married? Episode 9 - Why Kill a Busboy? Episode 10 - Who Cut Mrs. Ackroyd in Half?